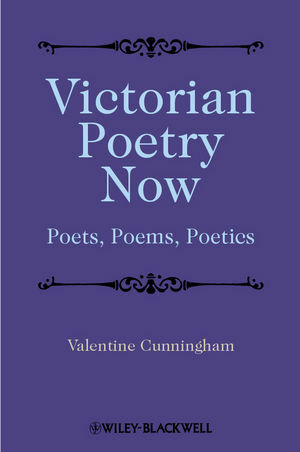 This book is the definitive guide to Victorian poetry, which its author approaches in the light of modern critical concerns and contemporary contexts. Valentine Cunningham is Professor of English Language and Literature at Corpus Christi College, Oxford. His publications include Everywhere Spoken Against: Dissent in the Victorian Novel (1975), In The Reading Gaol: Postmodernity, Texts, and History (Blackwell, 1994), The Victorians: An Anthology of Poetry and Poetics (ed., Blackwell, 2000), and Reading After Theory (Blackwell, 2002).